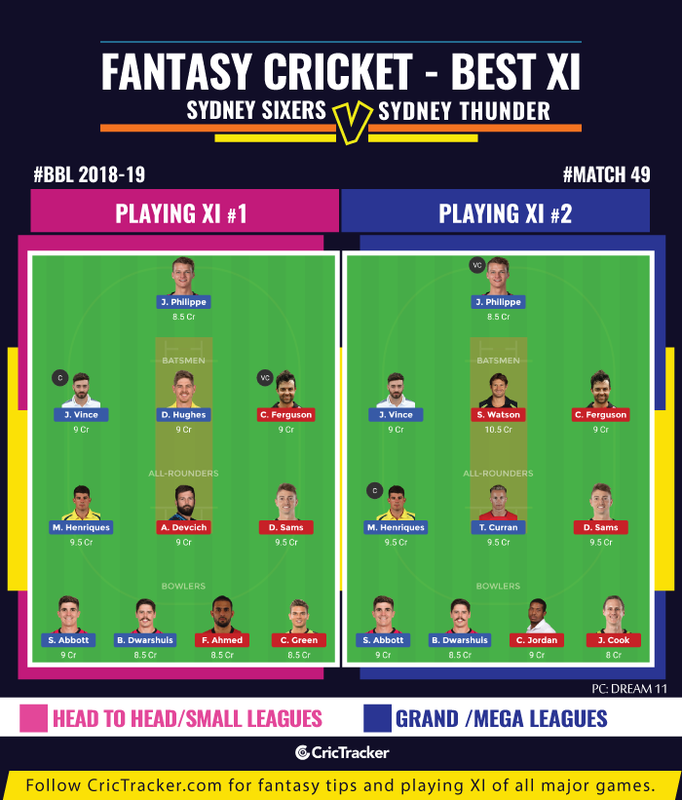 The Sydney Sixers are in excellent form of late, having won their last three matches in this edition’s Big Bash League (BPL). The victories have also taken them to the top half of the points table and another victory would also seal their berth in the semi-final of the T20 tournament. The Moises Henriques-led team is next scheduled to play the Sydney Thunder at the Sydney Cricket Ground (SCG). The Thunder, on the other hand, have produced some sparkling moments, but have been scratchy throughout. Subsequently, they find themselves in the fifth position with five wins from 12 matches. Another loss could virtually knock them out of the extravaganza. After their victory against Perth Scorchers, they lost against Melbourne Renegades and would want to get back to winning ways. The 49th match of the Big Bash League (BBL) 2018-19 will be played between Sydney Sixers and Syndey Thunder at the Sydney Cricket Stadium. The match starts at 7:00 PM local time (8:00 AM GMT) (1:30 PM IST). The pitch at the SCG mostly assists the spinners and batting has been a tad difficult. However, the deck tends to get better in the second half of the games and the same can be comprehended from the fact that six out of the last eight matches were won by the team batting second. Josh Philippe, Dan Hughes, James Vince, Moises Henriques (C), Jordan Silk, Tom Curran, Sean Abbott, Ben Dwarshuis, Steve O’Keefe, Ben Manenti, Lloyd Pope. Bench – Mickey Edwards, Jack Edwards. Shane Watson (C), Anton Devcich, Callum Ferguson, Jason Sangha, Daniel Sams, Chris Green, Baxter Holt (WK), Chris Jordan, Jono Cook, Fawad Ahmed, Gurinder Sandhu. Bench – Arjun Nair, Nathan McAndrew. Daniel Hughes is the leading run-getter for Sydney Sixers in this season with 294 runs to go with three fifties from 12 innings. James Vince has to start as captain or vice-captain. Moreover, he has two fifties in the last three matches at the SCG. Callum Ferguson, Daniel Hughes and Daniel Sams are good choices as captain as well. 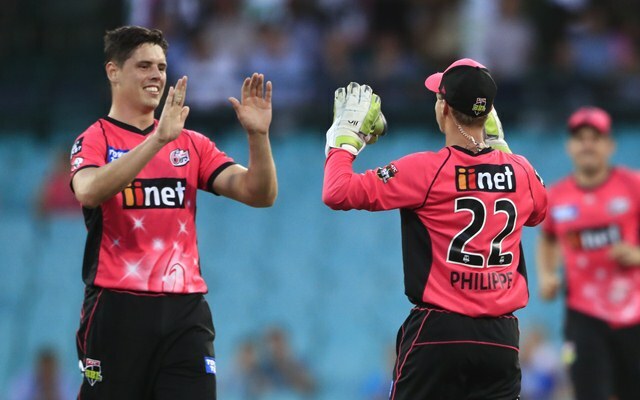 Moises Henriques, Sean Abbott and Josh Phillippe are the ideal choices for the vice-captain. Shane Watson, Tom Curran and Steve O’Keefe are the alternatives for the vice captain’s role. Shane Watson and Tom Curran didn’t put on any special performances in the recent matches. They can be left out considering their high price tags. The Sixers are expected to come out trumps in the Sydney derby.